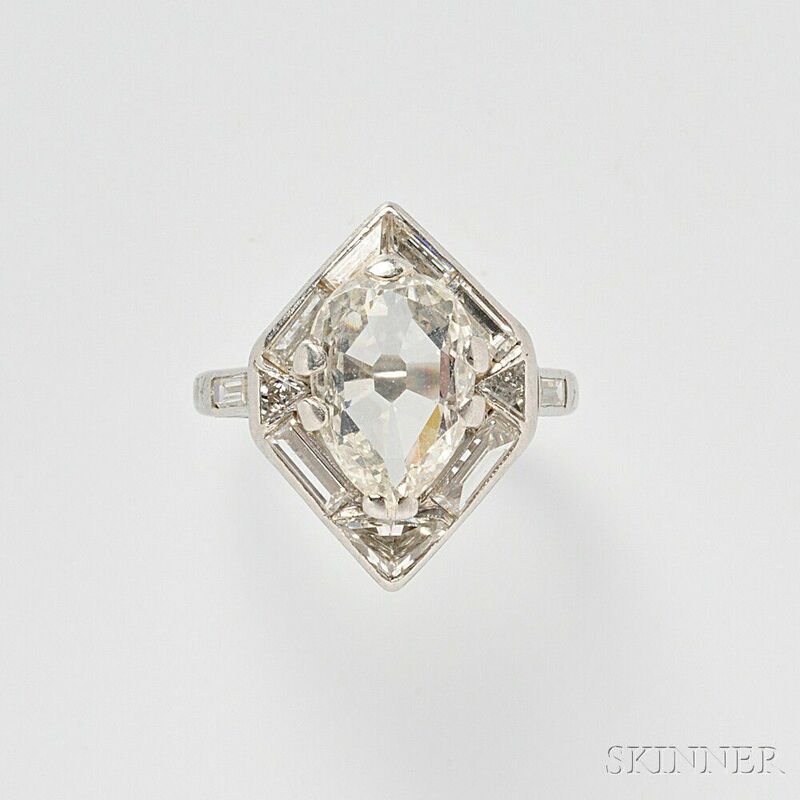 Art Deco Platinum and Diamond Ring, prong-set with an old pear-shape diamond measuring approx. 12.00 x 8.00 x 2.60 mm, and weighing approx. 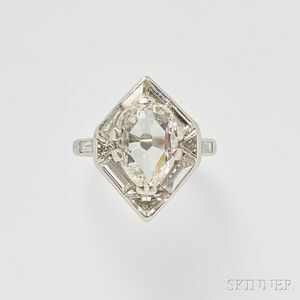 1.50 cts., framed by triangle- and baguette-cut diamonds, size 5 3/4.